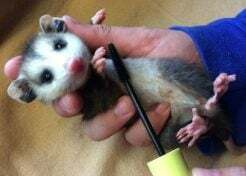 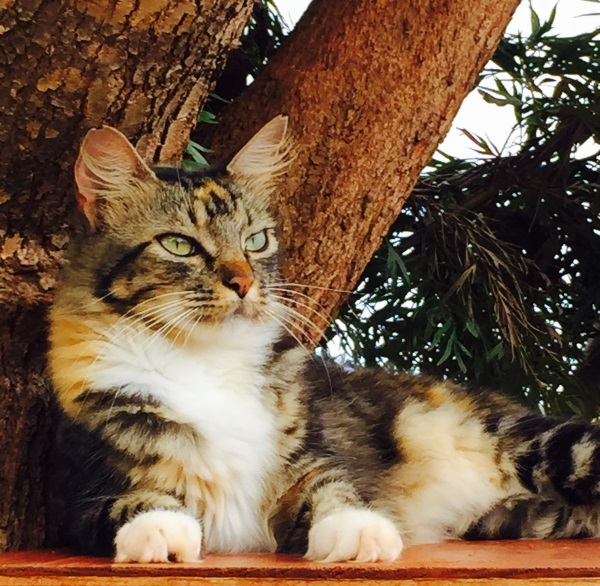 The Lanai Cat Sanctuary is a non-profit cat sanctuary dedicated to fostering peaceful coexistence between native birds and formerly homeless rescued cats. 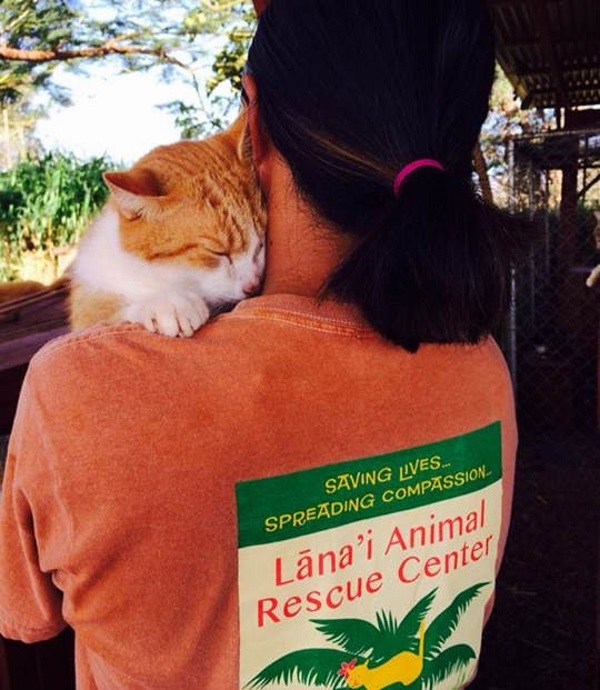 Formerly known as the Lāna‘i Animal Rescue Center, the Lāna`i Cat Sanctuary was founded in 2008 as an open-air, non-profit, volunteer-staffed sanctuary for abused, rescued and hiomeless cats. 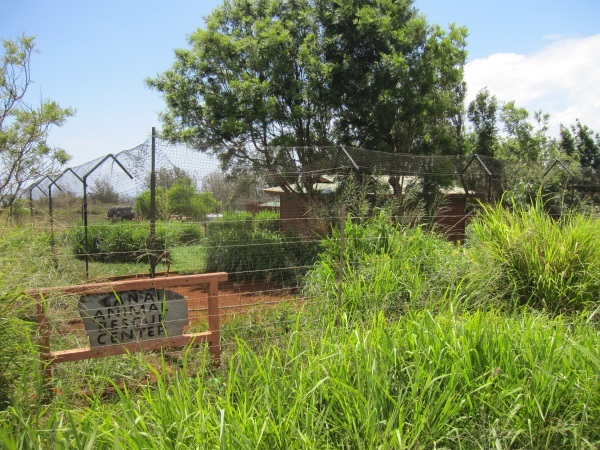 The sanctuary is located just outside Lāna‘i City on the small (140.5 square miles or 364 sq/km) Hawaiian island of Lāna‘i. 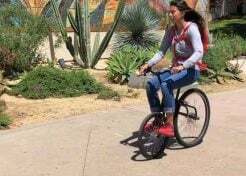 Larry Ellison, founder and chairman of Oracle Corporation, purchased 98% of the island in 2012 and has pledged to gradually develop Lāna`i in a sustainable, environmentally-friendly manner. 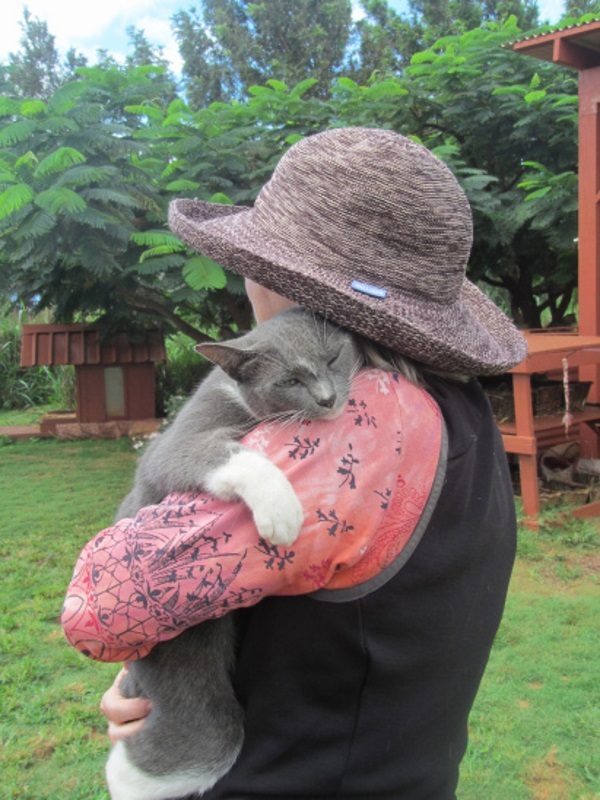 The Lāna`i Cat Sanctuary’s original mission was spaying and neutering stray cats while subsequently providing compassionate care for them in an outdoor, cageless sanctuary. 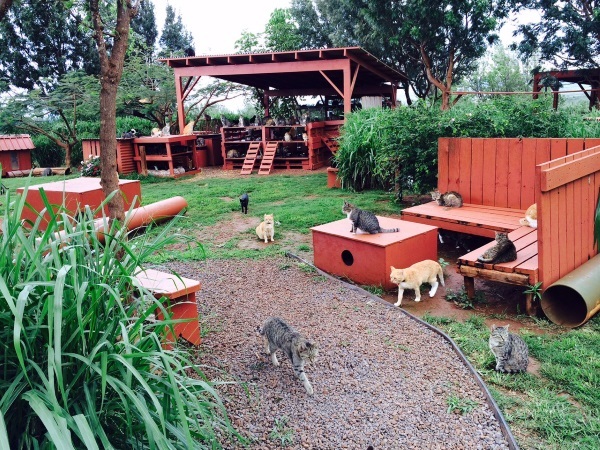 The cats are free to live out their lives within the sanctuary’s 15,000-square-foot space surrounded by a perimeter fence, though the cats are also available to be adopted out. 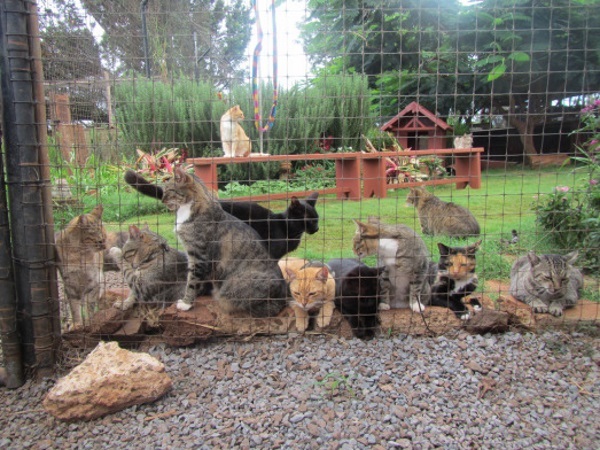 The fence provides protection for the cats while at the same time protects native birds by reducing the number of roaming cats. 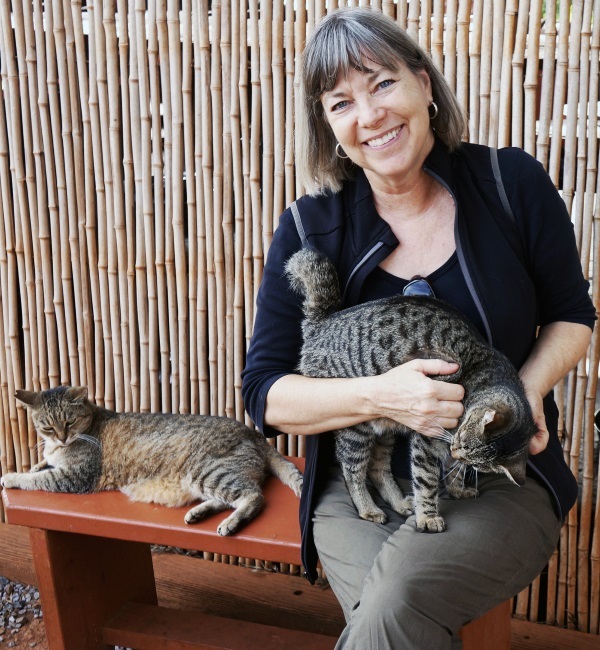 The sanctuary can trace its roots back to 2004 when a small team of volunteers led by Kathy Carrol (above) opened the first spay/neuter program for homeless cats on Lāna`i. 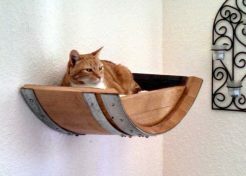 Though the project originally released cats after they were spayed and neutered, this approach was reconsidered in 2006 when a colony of endangered Hawaiian Petrels was discovered on Lāna`i.